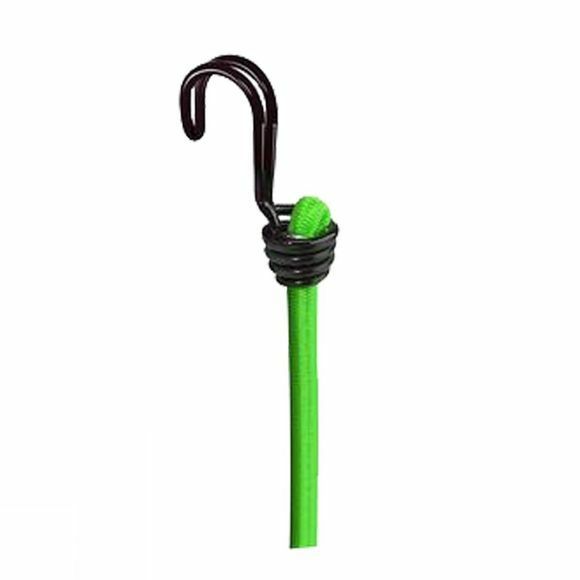 The MasterLock 2 Pack Twin Wire features two 80cm green bungee cords with wire hooks for additional strength. The reverse hook design provides extra room for fastening. The hooks are rounded for prevention against scratching.